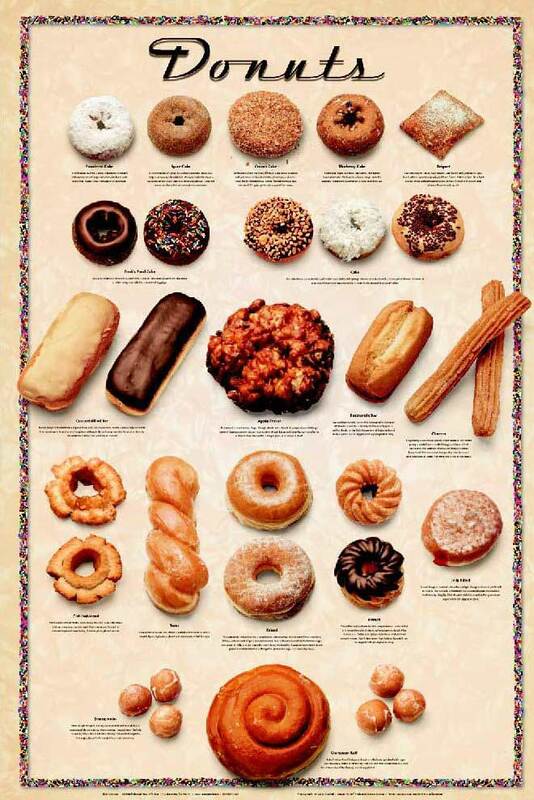 One of my very favorite foods is The Donut. 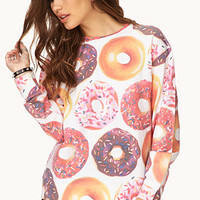 I love love love donuts. Doughnuts, too. For writing purposes, I’m sticking with “donuts” because my spell-checker doesn’t even pick up “doughnuts”. That’s its own problem. And sort of rude. But whatevs. I have ALWAYS loved donuts. 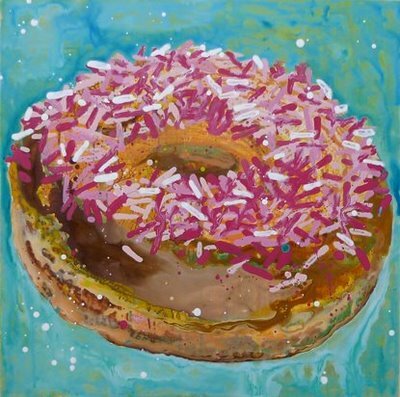 Despite “them” (whoever “them” is) saying bananas are the world’s most perfect food, I think donuts are. Baked, fried, filled, holes, iced, glazed, long, powdered, mini, raised, cake, jellied, creamed, I don’t care. I WANT! My husband even brought me donuts while I was in the hospital after having our first son. We made it a rule that if anyone goes into the hospital, they get donuts. I think it’s a legitimate rule. Somehow, in the hubbub of having our second son, this rule was forgotten. I got gypped. But I won’t worry too much. I’ve had more than enough (is that even a thing??) donuts since then to make up for it. My sons love them too. Every time we pass a Dunkin’ Donuts, Bigs tells me, “We should go on an adventure there!”…I’m with you, Kid. My husband got this sweatshirt for me for Christmas this year. He doesn’t know it yet. I almost can’t hold out and need to wear it just as soon as I won’t sweat to death. Although, donuts are worth it. Worth the sweating, worth it all. “If you stop eating donuts you will live 3 years longer. It’s just 3 more years that you want a donut. 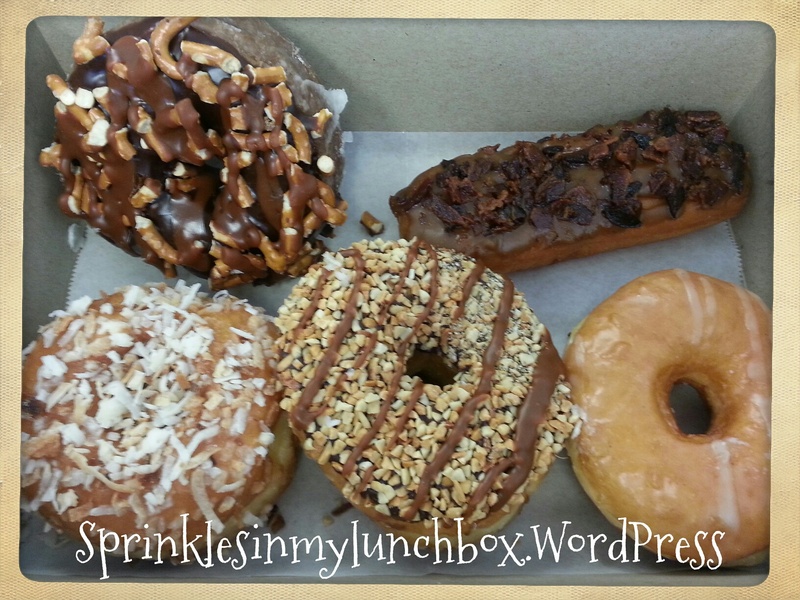 Some delicious donuts I just got last week, actually. I meannnnnn….. I got a mini-donut pan on sale a few years ago. It was wicked cheap. I’ve enjoyed making my own donuts with it since then. It is super tedious. 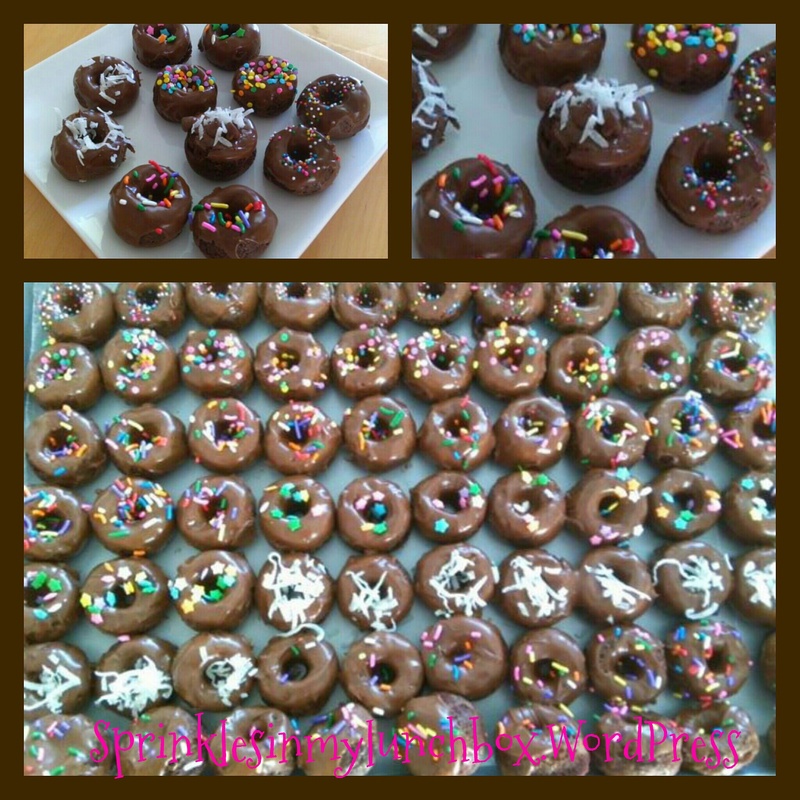 Mostly because they are mini donuts (which I don’t mind eating, they are so small that I can eat more!) and also because the pan only holds 12 and the recipes usually make about eleventy hundred. 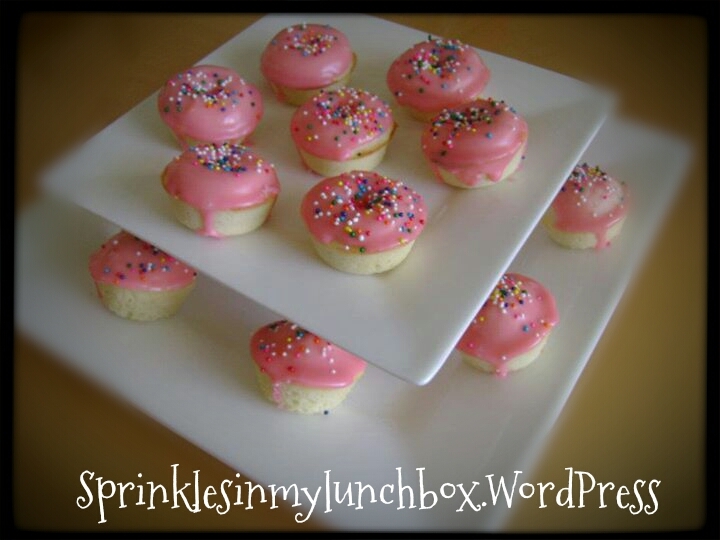 Some little pink cuties that I made. I used the recipe that came with the Wilton pan. Then I tried them in yellow. Adorbs. So cheerful! Here’s a chocolate version! Donuts for days! 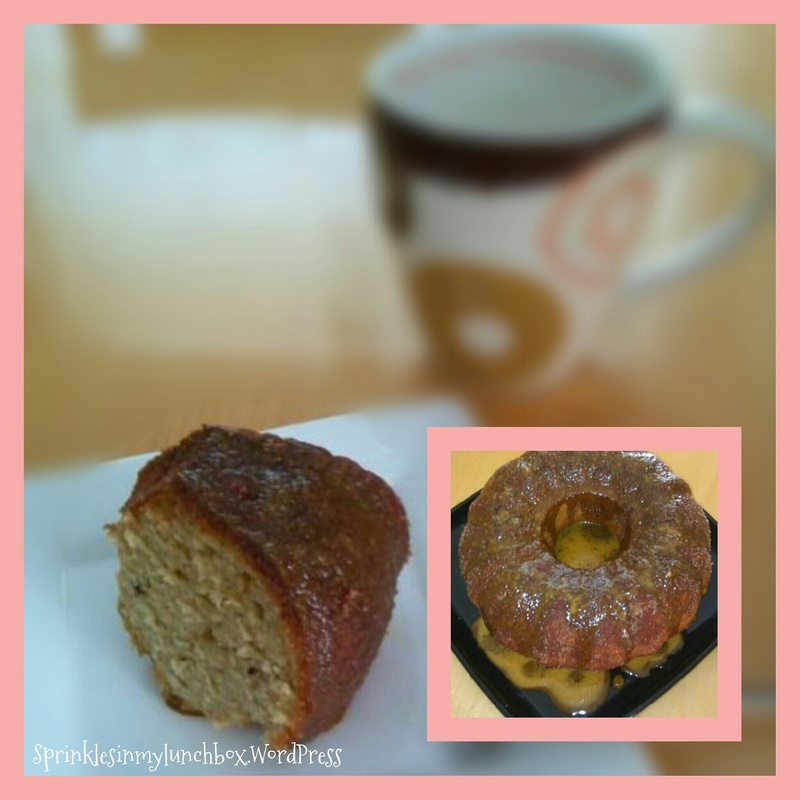 I also made a delicious Coffee & Donuts Cake. 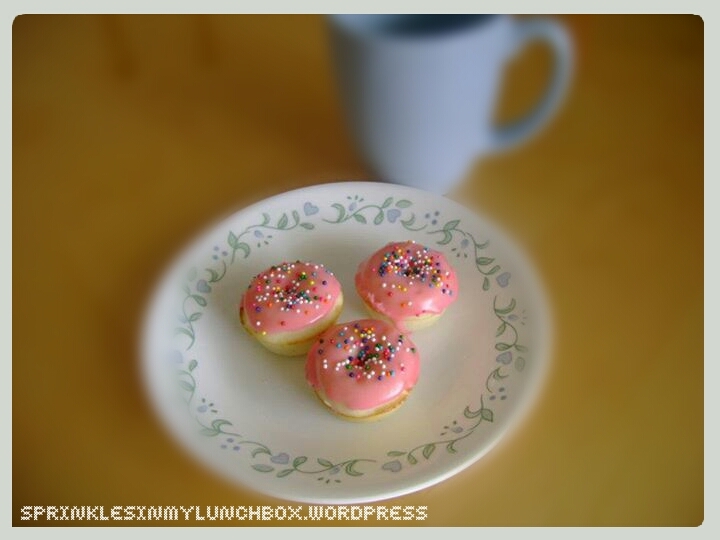 Almost nothing compliments a donut more than a cup of coffee…or a moment of peace that I can share alone with my donut. I used a Serious Eats recipe and it was TDF (to die for). It was a lot of steps, but totally worth it. The best of both worlds! 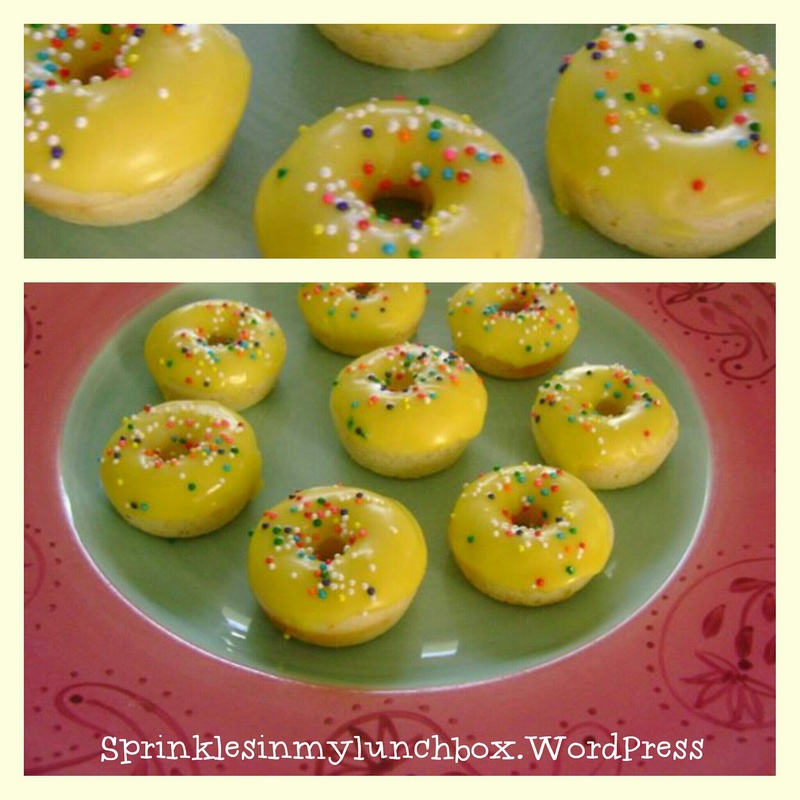 I “donut” care if you already have plans to make something else – you gotta try these! I hope you do and enjoy these recipes as much as I have. Have a rolled in sugar, jelly-filled kind of day! Joani! I can’t even tell you how much you made me smile on this. You are so sweet and I appreciate, so much, your comments! BIG BIG HUGS! THANK YOU for reading!! HAHA I love that Mike is now reading it! Tell him he’ll never see sports stats, but recipes?? Yes! Hugs!